Users are people who are tasked with managing the vend application from an administrative point of view. Click on the top right green circle near the company name. View the popup menu that drops from the top right corner of the page. 4. On the page that appears, select Users & Teams on the left menu. 5.On the screen above, click Invite Users. Email Address – This is the email address for sending a login invite to the person being added. Mobile Number – This is the phone number that will be identified uniquely with that user. Apps and Roles – You can choose for Automate, Notify, Unity and Vend, the role you want the user to have. 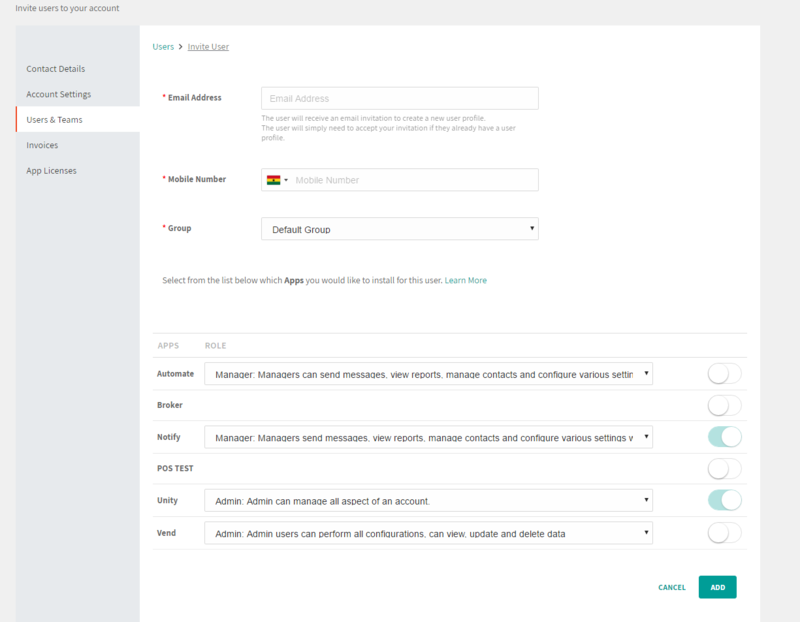 Since we are using Vend, you can leave the defaults as is and just change the Vend Setting to Admin or Developer or Simple Agent or Advanced Agent as needed. 7. 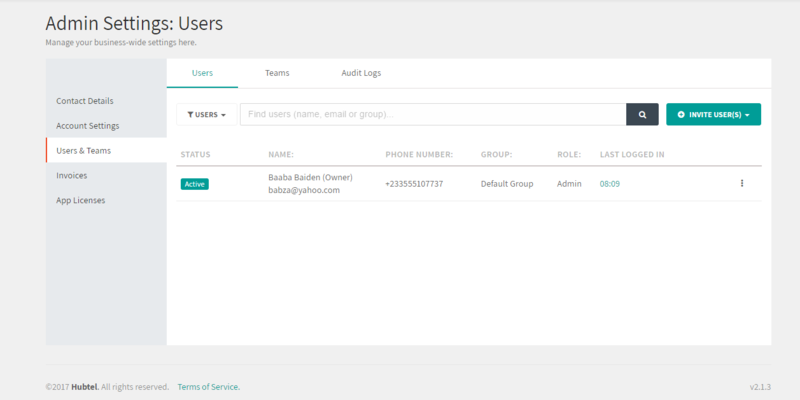 Click Add to include that user on your team and automatically send them an invite to login. You new User can now login to https://unity.hubtel.com to start using Vend.